September 26, 2012 — It’s Autumn. The Halloween season. And you want to go to a place where the Halloween atmosphere is so thick you need a monster mask to breathe it. Where Halloween seeps up from the ground, discoloring the foliage. Where the holiday decorations look permanent. Where the apples on the trees ripen caramel-covered, candy corn grows by the cob, and Oreo creme is always orange. Where the witching hour arrives every 60 minutes. Somewhere Halloween has been building up for hundreds of years. You have two choices. 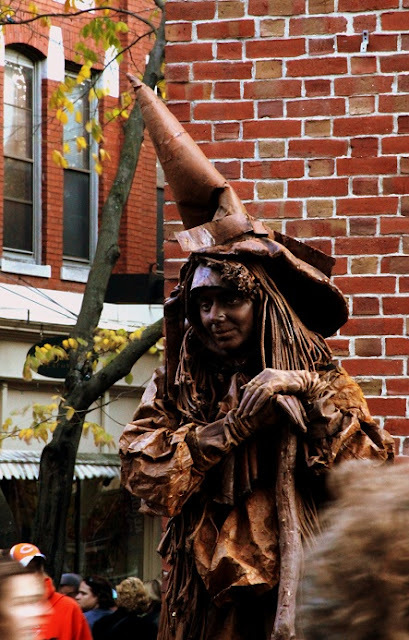 Salem, Massachusetts, or Sleepy Hollow, New York. I’ve been to both of these locations numerous times and plan on going to them again this season. This two-part post is my attempt to compare my experiences at these preeminent Halloween destinations. A few things to keep in mind while reading this, though. First, I’ve never been to either place on Halloween itself, as I have other traditions for that particular calendar square. However, I’ve spent many an October day wandering the orange-and-black-festooned streets of both of these macabre municipalities. In fact, if you subtract all my memories, but leave me with my Salem and Sleepy Hollow ones, I’ll look back on a full life with no regrets. Second, I also need to emphasize that this post is a comparison of the two places during the peak season, Autumn, as in the off-season both places retreat a bit into their sarcophagi and the experience changes in fundamental ways. This part you already know, but let’s start the comparison nice and official-like. 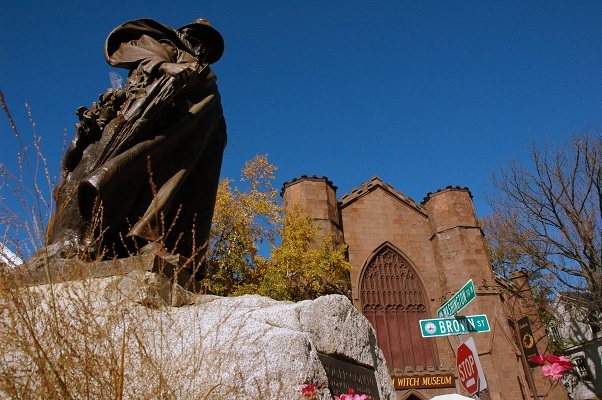 In the black corner, the center of the Halloween vortex that is Salem are the Witch Trials of 1692, which took place there and in locations nearby. The event is commemorated by museums, reenactments, preserved historic houses, graves of some of the players, and monuments to the tragedy. In the orange corner, the seed that grew into a Halloween Tree in Sleepy Hollow is the 1820 Washington Irving story, The Legend of Sleepy Hollow, which was based specifically on that spot of Colonial America and its landmarks. Today, you’ll find sites from and inspirations for the story, dramatizations, statues dedicated to it, and the house and grave of its author. 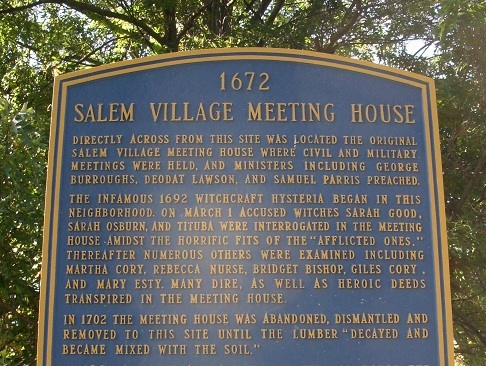 Salem is an actual city and is twice as big population-wise as the villages of Sleepy Hollow and its Siamese twin Tarrytown put together. Salem has more than 41,000 residents, while Sleepy Hollow claims just under 10,000 and Tarrytown just over 11, 000. This one fact impacts most of the categories for this post and is probably the biggest difference between the two. That said, both places are considered “suburbs” of major cities. Salem is just 15 miles northeast of Boston, while Sleepy Hollow is 15 miles due north of New York City. So more people live in Salem, but a bigger population has access to Sleepy Hollow. Further making the scale tremble with all that see-sawing is that Salem seems to be the more famous Halloween location of the two and pulls in a larger number of out-of-town tourists as a result. Basically, what I’m saying is that I’ve been in traffic jams at both places. So if you're the type that can have an experience ruined by too many like-minded souls, then early October is the time to visit either place. All the seasonal attractions have started by then, but the full crowd frenzy has not yet descended on either. And if you're of the opposite personality, and love having strangers pressed against you from sides you didn't even know you had, then the closer you go to H-Day, the more exciting your visit will be. Salem can feel like a mad carnival at times, especially its famous Essex Street Pedestrian Mall: People in extravagant costumes; vendors everywhere hawking food, wares, and experiences of various qualities; and plenty of opportunities for both good and bad decisions. 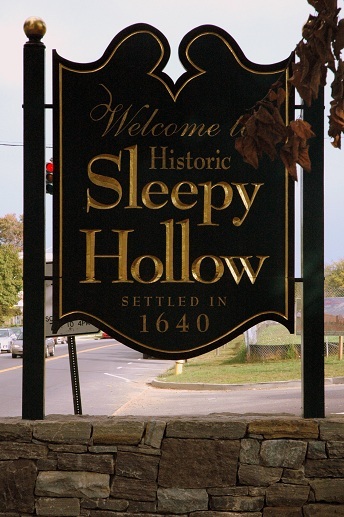 Sleepy Hollow, on the other hand, isn't quite as capitalized on, so while it can get crowded, it’s never really in the "dangerous party" way that Salem can get when it’s half in its mead. In Sleepy Hollow, it's more like in the "accidentally went to the zoo on field trip day" way. That’s also because a few of the important destinations in the Sleepy Hollow/Tarrytown region mandate a car, spreading out the crowds somewhat, while Salem is almost completely walk-able. 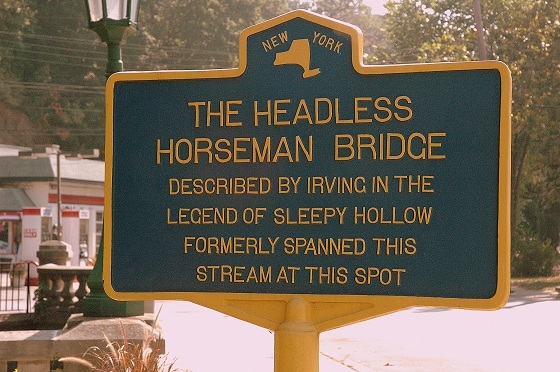 So, in general, if you’re looking for nice, quiet moments to commune with the Holy Spirit of Halloween, you can find it in Sleepy Hollow if you’re semi-diligent enough. 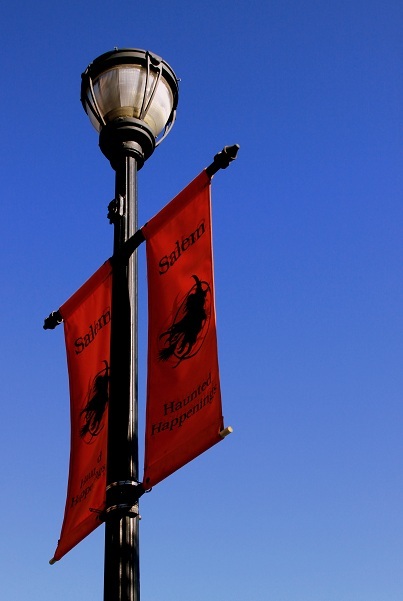 If you want to crowd-surf on the pointy hats of witches and the bloody horns of demons, Salem is where you should be. Again, that’s in general. If you go enough times to either to know them well, you can pretty much dictate your own experience there. At both places, a candy apple and cup of cider are almost always within arm’s reach. Of course, in Salem, because of its density, there are plenty more places to grab food and drinks, at either a fair booth or a restaurant. Not that you can’t find a good place to quaff a quaff in Sleepy Hollow. I seem to remember one night that started out gin and tonic-y, continued through a few gun-shots of sambuca, and then ended with a haunted house and public urination. And that’s kind of what I meant by communing with the Holy Spirit of Halloween. Naturally, you also want the perfect Autumn backdrop for whatever you do. Salem is more urban, and most of its seasonal shenanigans occur downtown. It does have a couple of parks, though, and since it is in New England, perfectly color-corrected foliage is just jaunts away in every direction…well, except east. That way lies Salem Harbor and the Atlantic Ocean beyond. Just a wetter style of Autumn, I reckon. 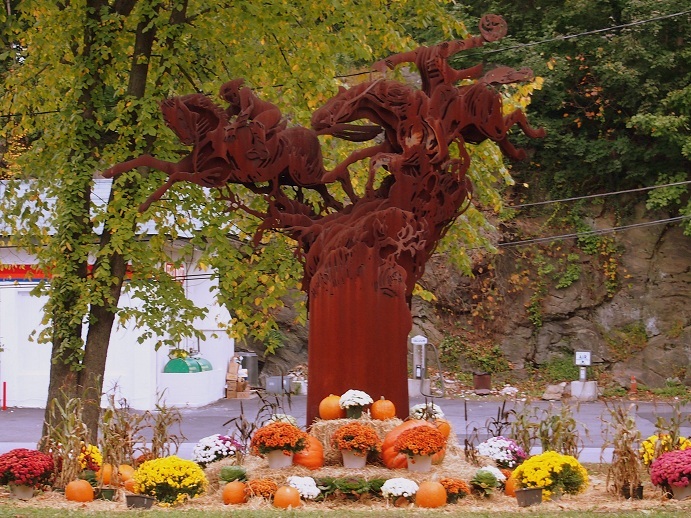 Meanwhile, Sleepy Hollow is just one stop of many on the magnificent Hudson River Valley. The main drag parallels the river and crosses it right there at the Tappan Zee Bridge. Just driving around, you’ll accidentally come across amazing views of river-reflected gold and red foliage, and many of the historic estates that are open to the public have hundreds of acres of Autumn surrounding them. No need to choose a winner yet. Continue to Salem vs. 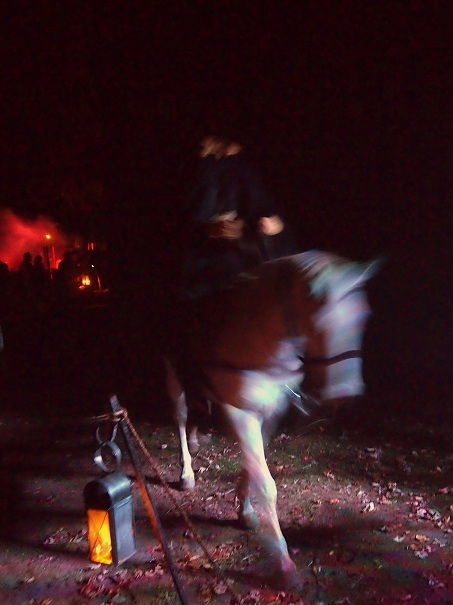 Sleepy Hollow, Part II, which examines the Halloween traditions, the year-round attractions, and their feature authors and cemeteries.